, within one second of the time Bohemia's data crunching platform predicted it would. This year The Brain wants to go one better. Picking the winner isn't good enough for Bohemia's data intelligence platform The Brain this year, it's hungrier for even more data. 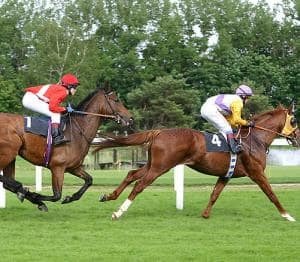 This year The Brain will take into consideration factors such as geographical data and detailed research on each jockey providing new dimensions to the model. For the rest of the year, Bohemia uses its data platform to fuse data sets to solve client briefs. But for the Melbourne Cup it wants to predict the winner. 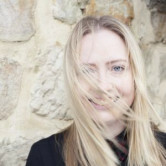 Bohemia's group data and attribution director, Steve Wright, told AdNews that adding in extra data to the model isn't messing with a winning formula, it's improving it. “The whole concept of a database management platform is it's not breaking what already exists, rather it's adding to it and enhancing it,” he said. With the two new factors, Wright believes The Brain can do even better than its winning performance last year. The staff at Bohemia are also on alert as some were so foolish as to disregard The Brain's prediction last year, “A few of them did [bet against The Brain's pick] last year to their peril and we've had people apologising, they'll be backing what The Brain says this year,” Wright said. If you trust The Brian see all its tips by clicking the image below. But remember - it's just for fun. 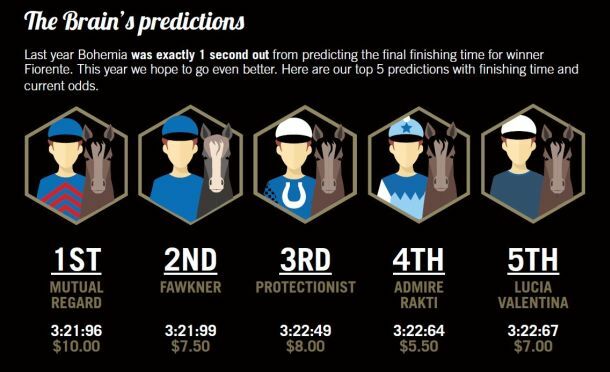 Last year, Bohemia’s data intelligence platform,'The Brain', picked Fiorente to win the race that stops a nation and it did, within one second of the time Bohemia's data crunching platform predicted it would. This year The Brain wants to go one better.